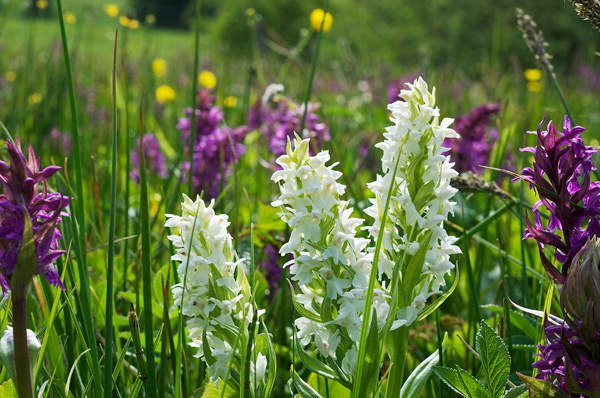 Dactylorhiza majalis, a slender plant with a height of 15 to 55 cm, is refererring to the blossoming month of May. The 4 to 7 leaves are ovate to lanceolate and spotted. The inflorescence consists of 7 to 40 flowers, tightly arranged in an inflorescence, which is at first conical, later cylindrical. The long bracts are green to crimson. The spur is almost as long as the ovary and bented downwards. Petals and the middle sepals form a small hood. The lateral sepals are vertically upright. The labellum is indistinctly three-lobed, with the lateral lobes often bent downwards. The loops on the lip are irregular and variable. 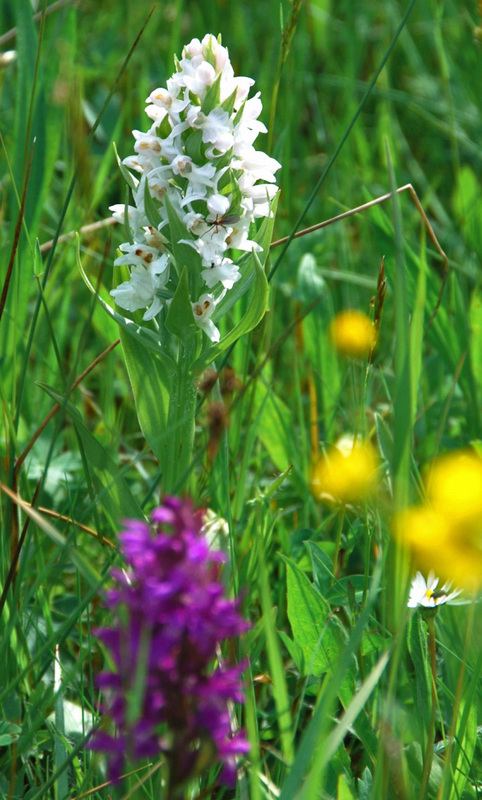 This plant was called Orchis latifolia by Linné. In 1828, the German botanist Heinrich Gottlieb Ludwig Reichenbach (1793-1879) described it as Orchis majalis. 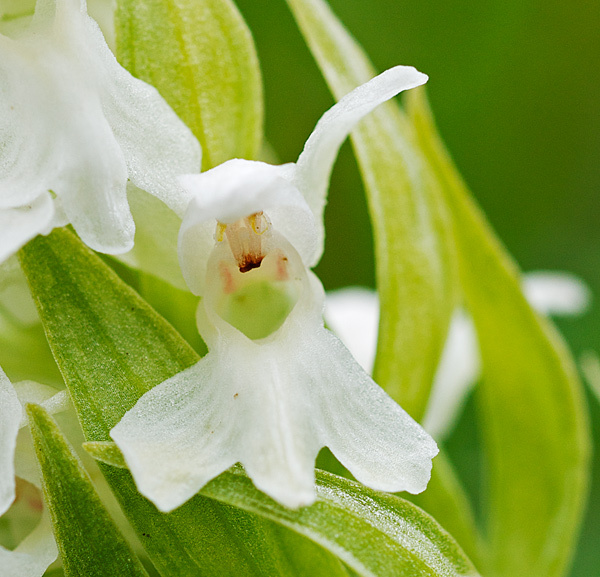 After separating the genus Dactylorhiza from Orchis by the Hungarian botanist Károly Rezsö Soó von Bere in 1962 the species got its present name by Peter Francis Hunt and Victor Somerhayes in 1965. The flowers of Dactylorhiza majalis are mostly pink to crimson. Though the species is charcterised by a great variability, plants with white flowers are quite rare. 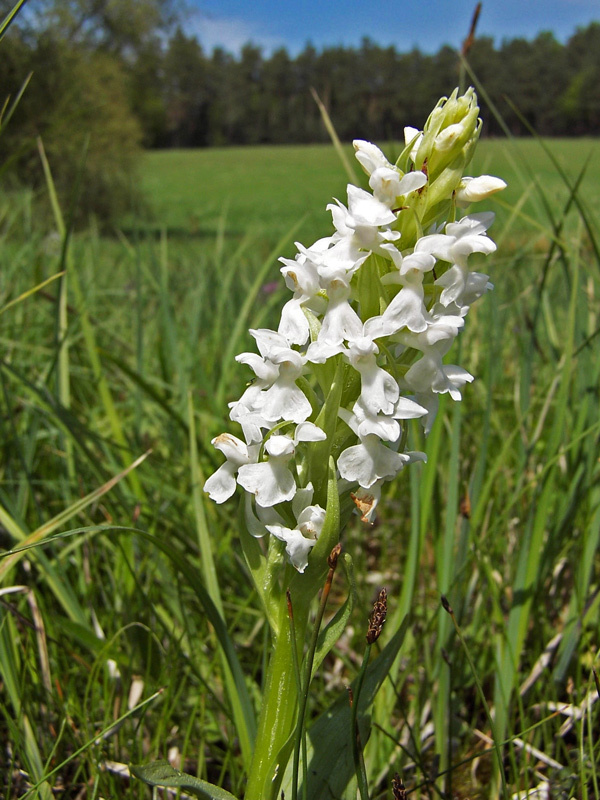 Dactylorhiza majalis is growing in marshes and wetlands, up to 1800 m. Bloom is from May to July. They live in Spain, France, Middle Europe and Southern Scandinavia.